Embassy Powdered Metals offers something unique in metal parts fabrication. Expanded facilities, a skilled team of experts extends our capacity to provide custom, cost-saving solutions to a wide range of industries. State-of-the-art green engineering expertise and a commitment to lean manufacturing processes help our growing list of customers discover the cost-effective advantages of superior engineered metal. Most important: we become a valued partner in your continued success. Whether you need new PM products designed and produced, or you’re ramping up production of a proven part, we’ve got you covered. 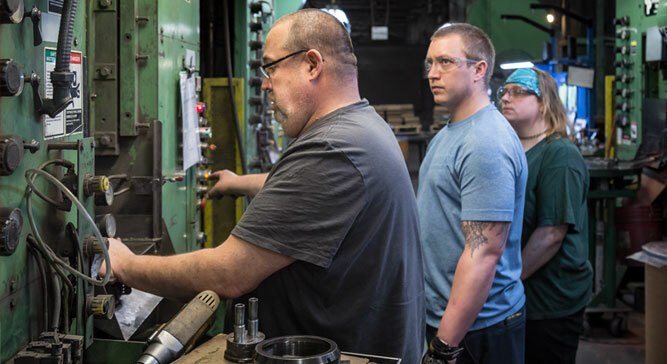 Embassy specializes in collaborating with customers to engineer metal parts that do more—meeting precise needs, applications, and specifications. Take a deep dive into how Embassy engineers improved performance, longer life, and enhanced cost effectiveness into every powdered metal part. Putting more into powdered metal, so you get more out of it. At Embassy Powdered Metal, we believe that our greatest competitive advantage is our people. And there’s never been a more exciting time to join our team!